An evening of literary entertainment covering a variety of topics expressed in poetry, stories, excerpts from longer pieces and, possibly, song. The well-known Scots writer, storyteller and singer, Sheena Blackhall, will perform some of her work, along with local poet and writer Catriona Yule and novelist Haseley Hinton. 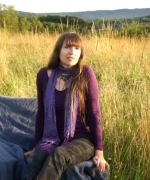 Sheena Blackhall is a writer, illustrator, traditional ballad singer and storyteller in North-East Scotland. 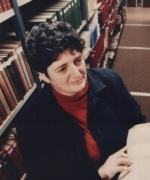 From 1998–2003 she was Creative Writing Fellow in Scots at Aberdeen University's Elphinstone Institute. She has published four Scots novellas, twelve short story collections and is working on her 90th poetry pamphlet. Two of her plays have been televised. She has won several national awards for Scots poetry and short-story writing. In 2009 she became the Makar (poet laureate) for Aberdeen and the North-East of Scotland. 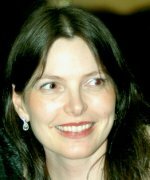 Catriona Yule is a poet, short story writer and playwright from Aberdeenshire. Her work has been published on the Poetry Scotland website and in Northwords Now, Pushing Out the Boat and The Eildon Tree. She is currently working with Aberdeenshire ceramicist Anne Murray, exploring folklore inspired by George Mackay Brown's poem, A Reel of Seven Fishermen. In April 2012, she was selected for the Orkney Writer's Course at St Magnus International Festival allowing her to continue her research into George Mackay Brown's life and work and giving her an opportunity to collaborate with London-based composer Michael Taplin. Her second collection of poetry and short stories will be launched by Blue Salt Publishing in November 2012. Haseley Hinton writes novels and short stories. The second book in her Seacrow trilogy, set on another world, is due out in November and she is currently redrafting a speculative thriller set on the eastern borders of Europe entitled Hole in the Ground.